With the right business phone system, companies can save time and money. A telephony platform should come with a wide range of features as standard, but buyers should be wary of hidden costs for additional features from some providers. The system should be scalable and able to integrate with other systems and applications in your company, such as CRM. 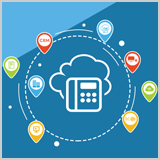 The aim of this guide is to demonstrate the benefits of moving to a cloud phone system, as well as providing a useful checklist of things to consider before making your decision. The aim of this buyer’s guide is to provide essential information and useful tips to consider before making your decision.